Organize and decorate in style! 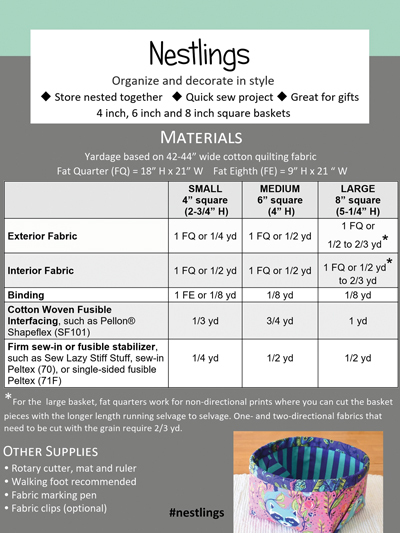 Feature your favorite fabrics or bust out the scraps! 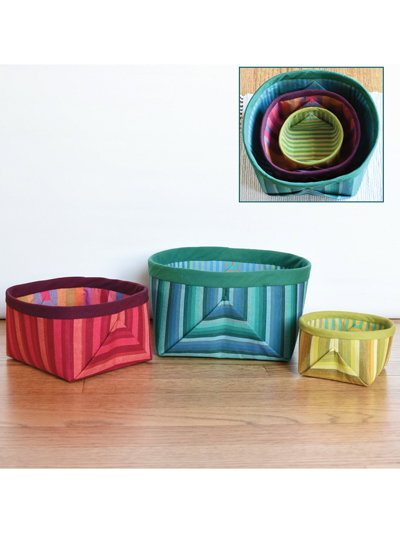 Stripes are particularly beautiful on this basket. You can also fussy-cut a fun print to feature it on the outside. Finished sizes: 4 (6, 8)" square.